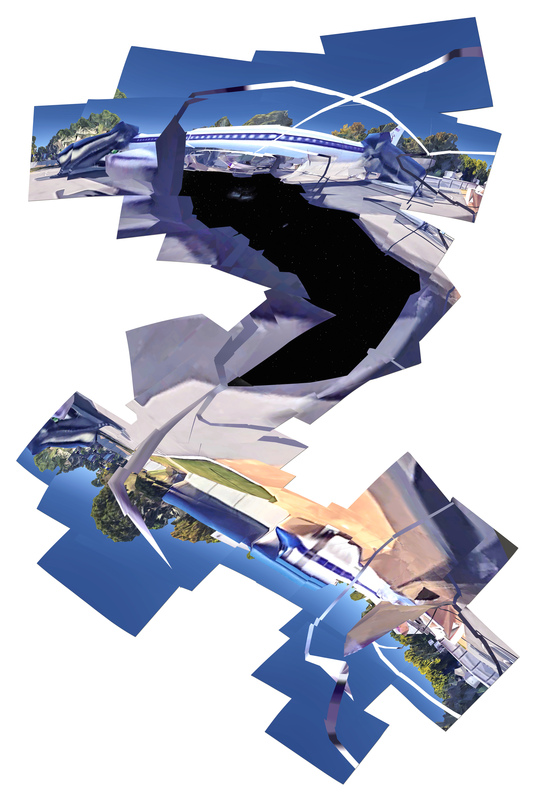 30 SECONDS OVER GRACELAND 2018 is a digital photo collage made from imagery found on Google Earth software in the vicinity of Graceland, TN. Assembled with Photoshop. For similar images, see Google Hack.